The 2019 Nissan Armada is a full-sized SUV with a massive amount of interior space. This SUV can haul around a large family or an entire sports team. It has plenty of space left over for your cargo too. The vehicle is built with a body-on-frame construction that provides strength and durability. This, along with its powerful engine, allows the Nissan Armada to tow a great deal of weight with confidence. The Armada offers best-in-class horsepower and seating capacity. If you need a do-it-all SUV, then the Nissan Armada may be right for you. The 2019 Nissan Armada is part of the second generation of this vehicle. It is now in its third year, and not much has changed since 2018. The latest model adds a few features as standard this year. These include intelligent cruise control, forward-collision warning, emergency braking and a rear-door alert. Nissan only provides one choice of engine for the 2019 Armada. All models come equipped with the 5.6-liter Endurance, V-8. This power plant provides more horsepower than any other engine in any SUV in this class. It offers a whopping 390 hp with 394 lb-ft of torque. The engine is smooth and powerful. You get plenty enough power for towing or getting over rough, off-road terrain. The latest Armada can get up to 60 mph in under 7 seconds. That's an astounding number for a large SUV that weighs over 6,000 pounds. The 2019 Nissan Armada isn't just for hauling your friends and family around. It has some serious towing potential as well. This is in large part due to the massive amounts of torque produced by the V-8 engine. When properly set up, your Armada will be able to tow up to 8,500 pounds. The ability to tow a trailer or a boat is a nice perk for a vehicle that is already perfect for long road trips. When combined with the sheer number of passenger seats and the comfortable interior, this makes the Armada king of the family vacation. The Nissan Armada can comfortably seat eight adults. That is the most seats in its class. All three rows are spacious enough to be comfortable even for larger adults. This is a big perk if you have a large family. If you are involved in team sports, have a band or just like the haul around a party-sized crowd, then the Armada may be your best choice for a new vehicle. The 2019 Nissan Armada features a luxury interior that you don't normally see in its price range. The interior is large and roomy. You and your passengers will have plenty of headroom. You can have a carload and still everyone will enjoy plenty of room for their legs and elbows. The attention to detail for the interior is impressive. All of the materials used on the inside of the Armada are of the highest quality. The seat and personal-storage compartments are all well designed and conveniently placed throughout the vehicle. The seats in the Armada are extremely comfortable, especially the driver and front-passenger seats. 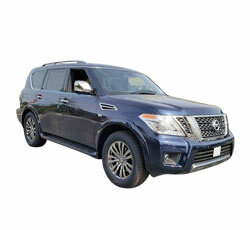 The interior style and build; luxury appointments, and high-tech features of the Armada scream: expensive-luxury vehicle. 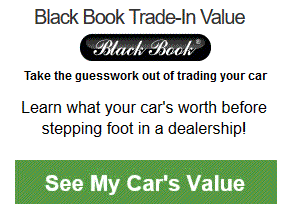 Fortunately, it doesn't come at an expensive, luxury-vehicle price. 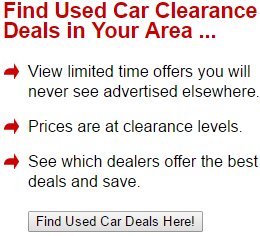 That makes the Nissan Armada a great value for your hard-earned money. 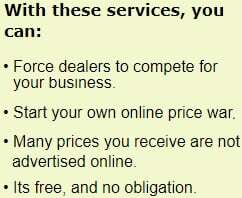 It comes in at a cost that is in-line with or much cheaper than the competition. The 2019 Nissan Armada is for more than just hauling people. You get an ample amount of space to store your cargo as well. You could take a whole team to a game and cart along their equipment too. The Armada is the perfect vehicle for camping excursions, fishing trips or long drives while on vacation. With the optimal seat arrangement, you can get up to 95.4 ft³ of storage space. The Nissan Armada provides one of the best rides available from any large SUV. The frame is solid and you'll hear little-to-no rattle. There isn't much in the way of body roll either. It's quiet inside of the Armada. Engine and road noise are kept to a bare minimum. The seats are all plush, supportive and cozy. The Armada's suspension system does a good job of negating any rough terrain or bumps in the road. It's so large on the inside, you'll even be able to stretch out inside of the Armada during long commutes. The 2019 Nissan Armada was designed to transport a bunch of people. You'll be glad to know that Nissan has put a lot of thought into how to keep them all safe. There are some impressive, modern safety features available for the Armada. You get a forward-collision alert. A blind-spot warning; and intelligent, blind-spot intervention warning both come standard on all models. You get rear-view cameras to help you see what's behind you. Nissan's intelligent, all-around monitor uses sophisticated technology to keep you safe from every angle. The Nissan Armada provides a premium sound system for your favorite music. It also gives you a high-tech, modern infotainment center. Here, you can keep connected and use voice commands to access many features. An 8-inch, HD touchscreen gives you easy access to everything else and displays important information. A rear-seat entertainment center helps to keep your passengers happy as well. The 2019 Nissan Armada is available in a 4WD configuration. It features a reasonably high ground clearance as well. The engine is extremely powerful, and there are massive amounts of torque on tap here. This all leads to a vehicle that is perfect for some off-road fun. The Armada is unique in this category as it can haul so many people off the beaten path. If you want to take the whole family or a troop on an outdoor adventure, you'll appreciate what the Armada can do. If there's one downside to owning a 2019 Nissan Armada, it has to be poor the fuel-economy rating. The V-8 engine on this beast is a fantastic power plant. It gives the large, heavy Armada sports-car like performance abilities. Unfortunately, all of that horsepower and torque comes at a price that you will pay for at the pumps. The combined, fuel-economy rating is just 15 mpg. The poor fuel-economy rating is exacerbated by the fact that you only get one engine choice for the Nissan Armada. A turbocharged V-6 or hybrid option may have helped with the fuel economy a bit. Most competing SUVs in this class offer at least two or three choices. The 2019 Nissan Armada offers plenty of seats for passengers. For the most part, the seats are large and comfortable. The third-row seats are smaller than the first two rows, but not too bad. They're a lot more roomy and comfortable than the third-row seats found in many large SUVs. Unfortunately, it's a chore to get back there to that third row. Access to those seats will be awkward for most adults. The Nissan Armada's main competition this year comes from the Ford Expedition, the Chevrolet Tahoe and the Toyota Land Cruiser. The Ford offers similar towing capacity, acceleration and off-road capabilities. The Nissan is a better choice if you have more people to haul around. It also comes in at a significantly lower price than the Ford. The Tahoe is a great SUV with a lot to offer. It has better fuel economy than the Nissan Armada. Both have comparable performance and towing abilities. The Armada wins out when it comes to seating capacity and interior space. Not only can you pack more passengers into the Armada, but they'll be much more comfortable there as well. The Toyota Land Cruiser has a great reputation for reliability. The Nissan Armada's engine beats out the best Toyota has to offer in acceleration, power, and just about any other category you can think of. The Armada offers more cargo space, more passenger seats and a higher towing capacity. The 2019 Nissan Armada is a fantastic choice for anyone looking to purchase a full-size SUV. If you have an especially large family or drive a sports team to games, then the Armada is the perfect choice. It has the most seats of any full-size SUV in its class. The Armada also has the most power of any vehicle in its class. Its towing and off-road capabilities are legit. Acceleration, steering and handling are astonishingly good for a vehicle of this size and weight. Best of all, the Armada comes in at a very affordable price.